There wasn’t really much doubt in my mind about this one. The runners up are strong products… actually flag that, they’re genuinely excellent products that deserve to succeed in a big way but the product of the year is a tour de force. Even the arrival of my new StereoKnight passive preamplifier and its stunning performance has failed to challenge the product of the year’s dominance. What else could I possibly be talking about besides the Well Tempered Labs Simplex turntable? As detailed in the review, the Simplex is um, simple. There’s not much to it and at first, the most impressive part of the ownership experience is the rugged and well thought out packaging. The rudimentary manual, prosaic appearance and the slightly fiddly set up procedure are enough to leave a new owner feeling a little underwhelmed but that changes to amazement and joy the very instant that the stylus hits the groove. At that point you’ll understand what the designer intended and you’ll realize how close he’s come to stripping everything but the music from this deck. It’s so good in fact that I bought one. It’s spinning Sade’s Diamond Life as I write this and it sounds fabulous, especially with the new preamp. I occasionally have to remind myself that I’m not listening to a substantially more expensive turntable, cartridge and phono stage combination. A Simplex, Dynavector DV20X-L and P75MkII phono stage aren’t exactly budget components but in the grand scheme of things, you can spend a whole lot more and get less enjoyment. I love the way this thing sounds; the energy, the detail levels and the sheer unhindered flow of the music makes me thankful that vinyl is still going strong. I wont miss CD but this turntable and my collection of records aren’t going anywhere. The message really is as simple as the deck – if you have the opportunity to hear a Simplex, grab it. Fantastic! 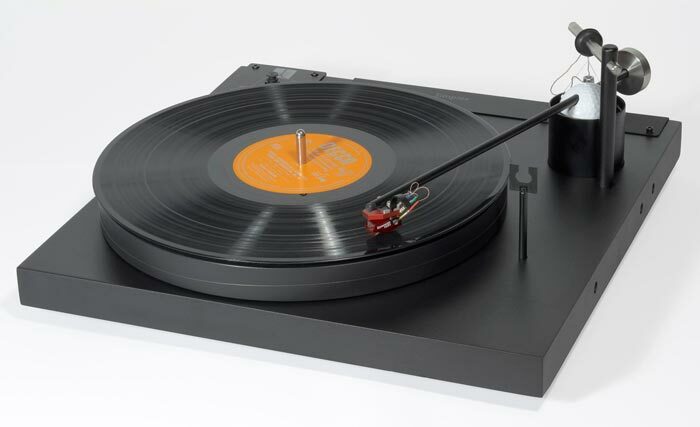 Great to see a turntable as Product of the Year! Well Tempered and Dynavector. Great well proven partnership. Hmmm, yes I was going to mention the unfortunate model name but I didn’t want to upset Mr Kramer. I’m sure after listening to it he doesn’t feel like he’s caught anything though…. That connection never even occurred to me until you two helpful types brought it up but frankly, this thing could be called the Well Tempered Paramyxovirus and I’d still keep it.